Colossal fountain. The text is written on its perimeter. 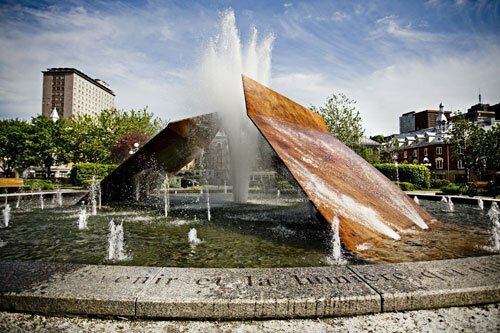 The fountain represents tectonic plates that have been disrupted by the effects of water. 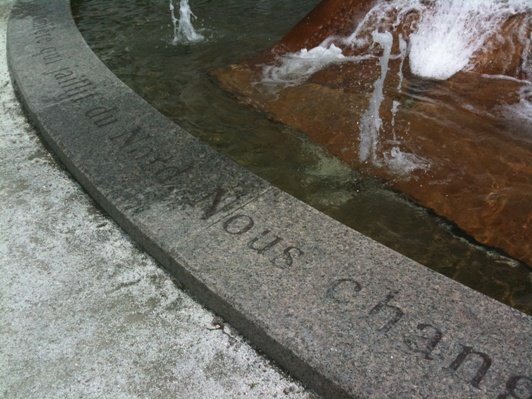 It is an analogy to how natural elements are raised and thrown in the air by the power of water which, once harnessed and controlled, became essential to the transformation of the province of Quebec. Lighting and sound design reinforce the impression of disruption of the earth's crust, complementing the work. Imagine! 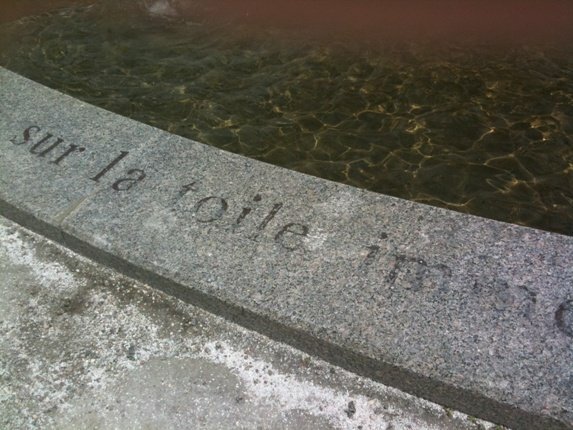 Imagine l'aventure humaine au coeur de l'eau sauvage, apprivoisée! Nous sommes les vagues puissantes de la pensée, les torrents de l'avenir et la lumière qui jaillit du Nord. 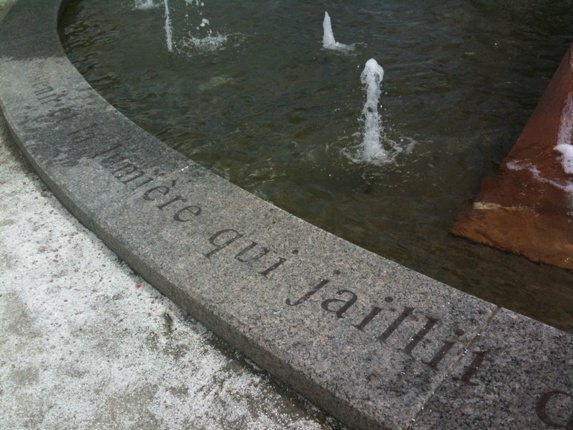 Nous changeons le monde, libres sur la toile immense de nos rêves les plus fous. 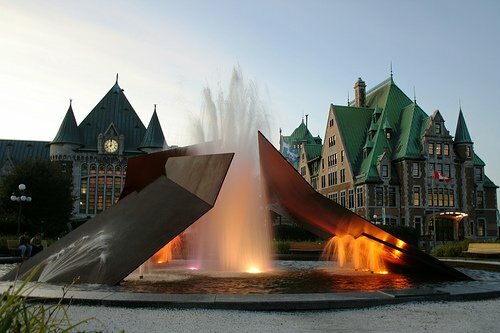 The sculpture shows the power of water and the importance of hydro-electricity in the economic development of Quebec City. 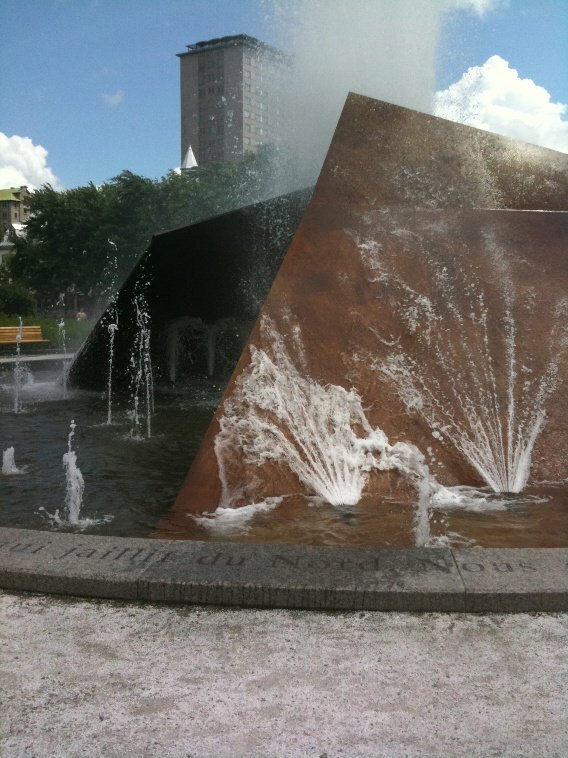 Éclatement II is inspired by Embâcle, a sculpture by Charles Daudelin for the Place du Québec in Paris and installed in 1984. These two artworks create a symbolic bond between the capital of the francophone world and the capital of French America.